As a new player in S4 League you're playing a short Tutorial first. It explains the basic movement controls, putting emphasis on techniques such as “evading” or “walljumping”. 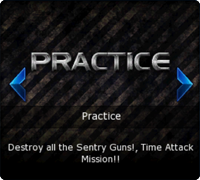 The tutorial can be repeated at any given time, but is not listed as a game mode as such. You can further practice these basic controls in Practice Mode. Only one player is allowed to participate in practice games, immobile Sentry Guns serve for target practice. You will also earn some PEN by completing these missions. 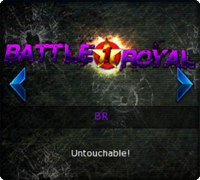 Battle Royal is a classic “all-versus-all” game mode, known from various other Third- and First-person Shooters. 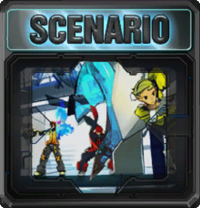 You have various possibilities to set the rules of a match, such as match time or allowed weapons and skills. This makes for Battle Royals with all weapons or, for example, swords only. Deathmatch is a team-based version of Battle Royal. Players are organized in two teams and receive points for dominating players of the enemy group. 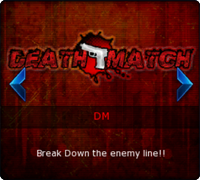 Just like in Battle Royal, players have various possibilities to set the rules of a match. Captain is another variation of Battle Royal / Deathmatch. Just like in Deathmatch, two teams fight each other. 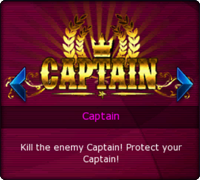 However, in Captain Mode every player is carrying a crown. Once a player with a crown is defeated, he loses that crown and has to continue the game as per usual. The first team without any crown carries loses the round. The team with the most won rounds by the end of the game is the winner. 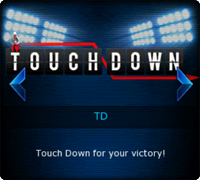 Touchdown is the most popular mode of S4 League. It combines the fast-paced action of Deathmatches with tactical aspects, inspired by American Football. The arenas of Touchdown Mode are mirrored, meaning the “home bases” of each team is the same. In the middle of the arena, between the two teams’ “home bases” is the “Fumbi”, the mascot of S4 League that looks like a robot football. The goal of Touchdown is to get a hold of “Fumbi” and transport it into the home base of the rival team. This requires a great deal of team communication, clearly playing after assigned roles such as “attacker” or “defender”. Touchdown Mode originated a certain style of play in S4 League that puts emphasis on advanced jumping techniques, rather than shooting down the enemy. With a row of skilled walljumps, players can evade enemy fire while moving at a greater speed towards the enemy’s home base. 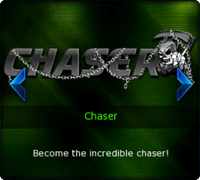 Introduced in August 2009, to date Chaser is still the most unique game mode of S4 League. Every round, one random player becomes the Chaser, having supernatural power and endurance. His target is to dominate all “regular” players before time runs out. Since the Chaser has both a high attack, as well as supernatural defensive powers, other players try to run away or hide, hoping to survive the short round time of about 1 to 2 minutes. 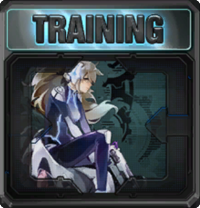 Skilled players sometimes team up, trying to defeat the Chaser and receive bonus points. If the Chaser manages to beat all other players, he will receive points. If he doesn’t succeed, all surviving players receive points. The player with the highest score wins the match. 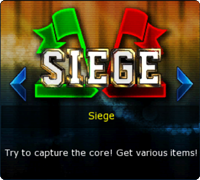 Introduced in August 2011, Siege is one of the more recent additions to the line-up of game modes in S4 League. It is comparable to what is known as “King of the Hill” in many other Shooter Games. Across the maps players will find three flags they have to capture. Once a flag is captured, it takes a green color if “my” team has captured it or a red color if the enemy team has captured it. By standing still on a red flag, players can first “neutralize” the enemy’s possession, before claiming the flag for themselves. Flags that have been captured will generate points for the possessing team, as well as randomly spawn items that players can use to refill their ammunition or add up additional points. Arcade delivers you three different game modes: Mission Arcade, Scenario Arcade and Conquest. You fight against non-human enemies most of the time here. In a series of missions, you have to kill waves of NPCs, protect allies or defeat boss enemies. 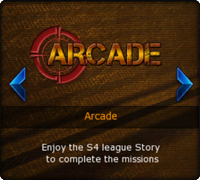 The story of the "Netsphere" of S4 League is told in the Scenario Arcade. Team up with up to 3 players to defeat all enemies and learn more about the story in short videos in between fights. There are two ways to destroy enemies in Mission Arcade: You either have to kill as many enemies as possible in a given time, or you have to kill a certain amount of enemies within the shortest period of time possible. You only can fight alone in this mode, but you can compare your high scores with friends and other players. 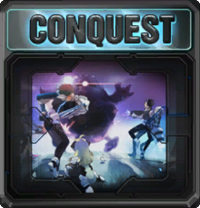 The Conquest Mode combines elements of tower defence games with the 3rd person controls of S4 League. Players have to cooperatively defend a base against oncoming swarms of enemies. Enemies spawn at several points on the map and aim straight for the players' base. Each time a monster makes its way to the base and attacks, the base will lose hit points. Once all hit points are depleted, the game is lost.